Host a pod Join us! Welcome to the diaspora* tutorial section. 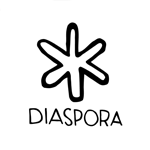 On this page you will find an overview of all our diaspora* tutorials, divided into a “Getting started” series and stand-alone tutorials for particular tasks. If you are new to diaspora* or have not even signed up yet, we recommend you to read the “Getting started” series. If you are looking for some additional options, have a look at the other tutorials. We do the best we can to keep these tutorials up-to-date with the latest diaspora* developments. As such, please be aware of the fact that your pod may not be running the latest version of diaspora*, which can result in behaviour different from the behaviour described in our tutorials. Find your pod on Pod Uptime to see which version of the software it is running. Check our other documentation page for links to other sites.